This Is Story Of A Man With Only Hand! – 1Beginner! This Is Story Of A Man With Only Hand! This is Story of a Man of Focus & Perseverance! This is story Karoly Takacs! 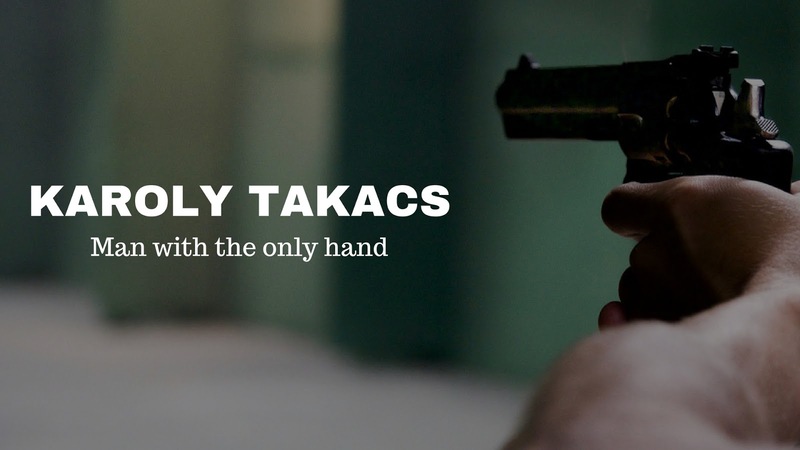 Back in 1938, there was a Guy in the Hungarian Army named Karoly Takacs, He was the best pistol shooter of his country. He won most of the major national & international championships for his country. It was said He was one of the best pistol shooting hand in the world of the era. He wanted to make his hand the best pistol shooting hand in the world. 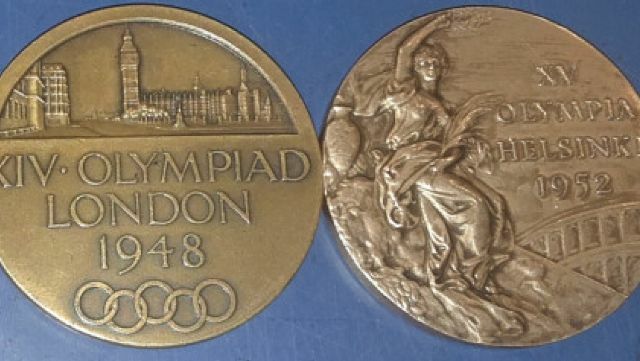 He was set to appear in 1940 Tokyo Olympics. Everything was going good, but In 1938 in an Army training camp during a training exercise, a defective hand grenade exploded in Karoly’s Right Hand- his shooting hand, which blew his right hand. It not only blew his right hand but his Olympic dream as well. His dream to become the best pistol shooting hand in the world. It was the only Goal of his life. Karoly was sent to hospital & there was no news of him after the discharge. Karoly was not seen for a 1 Year till year 1939. In 1939, Karoly arrived in the National Pistol Shooting championship. His friends, colleagues were delighted to see Karoly & complimented him for the courage that He came there to cheer & support them, but it was not like that. Karoly said “I am not here to cheer for you, I am here to compete with you.” His fellows amazed about his confidence. He did not only compete but He won the championship. What happened in 1 year? When Karoly went back to home form hospital He had only ways “to bow down to the life in front of him” or “to fight with what he had.” He chose the latter. The difficult choice, no one prefers. He started everything again, from scratch. He started everything with his left hand & decided not to give away his dream so easily. Karoly was determined to continue his shooting career and switched to shooting with his left hand. He kept practicing underground for about 1 year. He put his all energy & focus on his left hand to become the Best pistol shooting hand of his country again. He showed up at the championship with undeterred confidence – He Won the championship with his Left Hand. Can you imagine a guy lived his entire 28 years with complete body structure? Suddenly became crippled? Started everything with the other hand & rose again to win the national shooting championship. The Tough Road – The Test of Patience & Persistence. He didn’t stop there, He kept practicing for the 1940 Olympics, towards his Dream. But 1940 Olympics didn’t happen due to world War-2. Still he didn’t lose hope, He kept working & practicing for 1944 London Olympics. But these games were again cancelled due to world War-2. It was hard, really hard for him to see his Olympic dream fading away like a Dust. It was really really hard time for Him. Still He didn’t lose hope & He kept practicing for 1948 London Olympics games. After World War-II & disruption of 12 years the Olympic Games were happening. He participated in the London Olympics under 25 Meter Rapid Fire Pistol Event. He was 28 years of age in 1938 & He was 38 years of age in 1948. People from all over the world were competing with their best hand. Karoly was competing with his only hand against the best pistol shooters from all over the world. So, nothing comes in-between the Focus & persistence. He Won a Gold medal in 1948 Olympics. The story doesn’t end there, He participated in 1952 Helsinki Olympics & won the Gold medal gain. He shunned the critics & everyone around him. He had a reason to give up on his dream a catastrophic event that happened in his life, still he didn’t focus on what he had lost, he focused on what he had! If You Are Determined Nothing Can Stop You! Nothing Is Impossible With Focus & Perseverance! When Going Gets Tough, The Tough Gets Going! I want you to inspire from this story & walk aggressively towards your dream. No matter what, Whatever it Takes! Be fearless! Nothing can stop You but You! Next time if you think about giving up on your dream for any reason remember The Story Of A Man With Only Hand! Read my previous interesting Post – The Man Who Defined Persistence! Please like, Comment & Subscribe. Share & invite others to experience the New View. You can follow us on Facebook, Instagram & Twitter! complied by Mahendra Kapady, 1Beginner@2018. All Rights Reserved. Nothing Happens On The Sidelines!